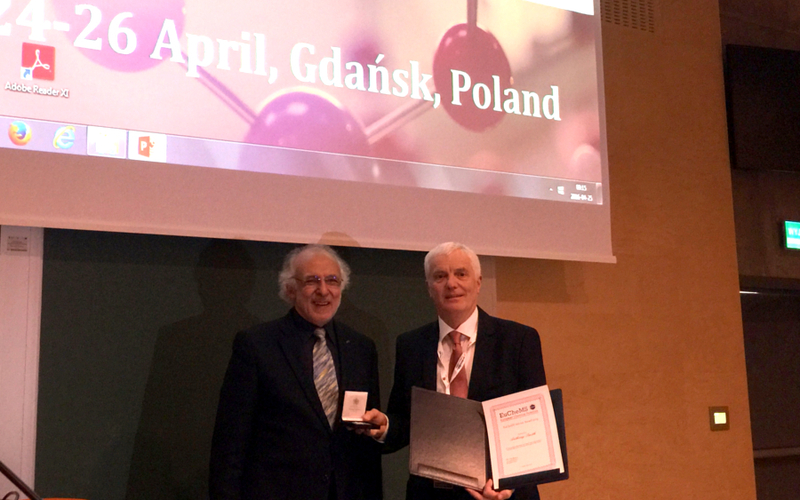 Professor Anthony Smith has received today the 2015 EuChemS Award for Service at the ECTN General Assembly in Gdańsk. Professor Anthony Smith has a key role in establishing, organizing, and co-ordinating the European Chemistry Thematic Network ECTN (later European Chemistry and Chemical Engineering Education Network, EC2E2N) from 1996 onwards. This included six successful proposals within the EU Socrates frame, each for a 3-year-funding from the European Commission in series. The network represents a large consortium with 109 partners from 28 EU countries, the Republic of Serbia and Macedonia), and third countries. The partners include universities, national chemical societies, the European Chemical Industry Council (CEFIC), EuChemS, spin-off companies, and one of the seven institutes (IRMM) of the EC Joint Research Centre. Thus the consortium brings together all the actors in chemistry/chemical engineering in Europe, and, through the membership of the partner associations, has access to virtually all chemists in Europe.